＊ I estimated the course layout and difficulty level as if I had played from the championship tees. In fact I actually played from the black tees about 400 yards shorter. I also estimated the course rating as 74.0 to play from the championship tees as the official course rating from the black tees is 72.1. 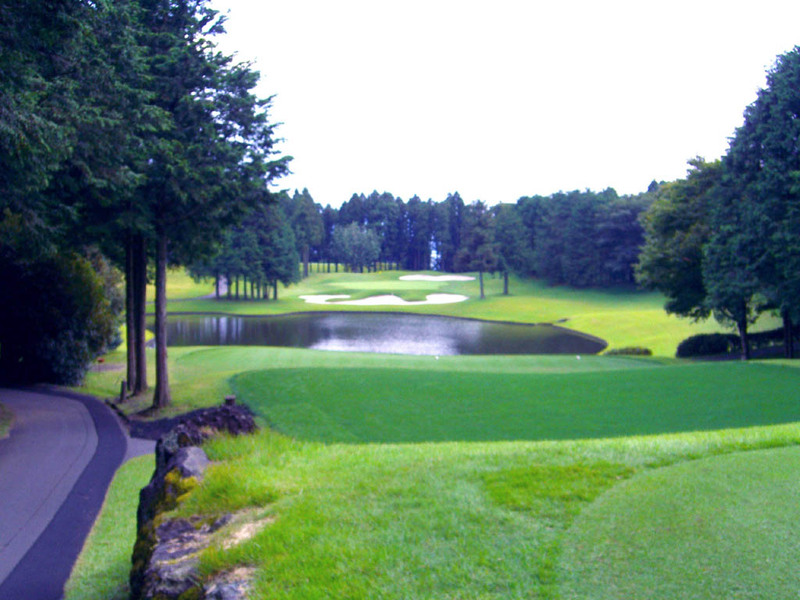 The course is laid out beautifully on Mount Fuji’s foothill, 500 meters (1600 ft.) above the sea level. It is set on the gently undulating hilly terrain. The fairways are enamored with subtle undulations and are beautifully separated by cedars and Japanese cypress. The strategically placed water hazards and bunkers make the course more challenging. The front 9 holes are characterized with big elevation changes, more doglegs and more water carries. The back 9 is an almost flat woodland course with the more demanding putting surfaces due to very strong undulations. 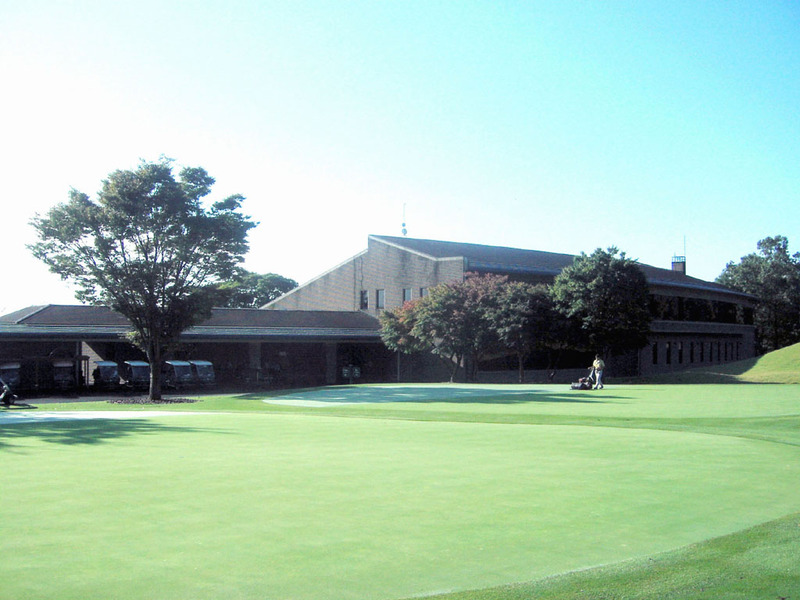 It has been hosting one of the major tournaments of JPGA every year since 1997. The 'Visa Taiheiyo Masters Tournament' invites many famous international players and the likes of Seve Ballesteros and Greg Norman have won the tournament in the past. It also hosted the World Cup Golf 2001. It was very impressive to know that Tiger Woods made the chip-in-eagle, on the last day to tie the leader. The shot was from the thick rough on quite difficult downhill lie on the right side of the green. 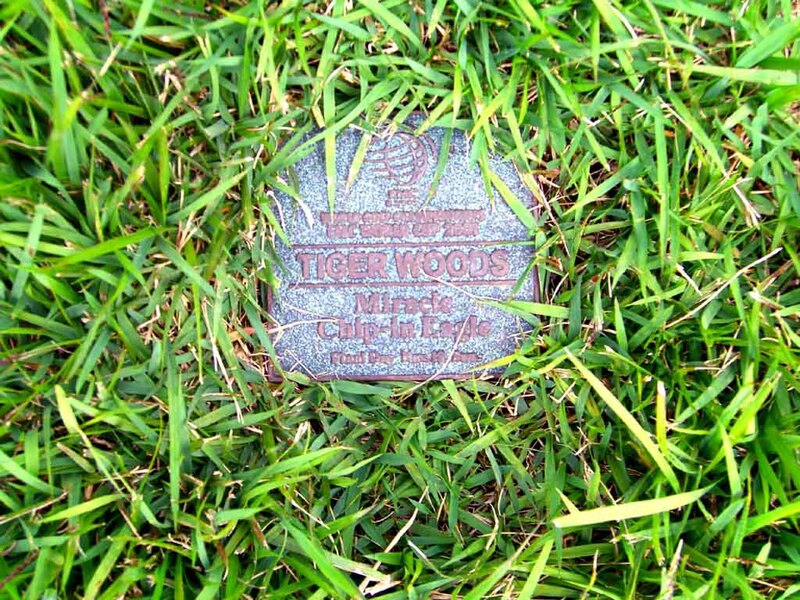 Top players like Tiger could make that cip-in from there I believe only once per thousand. He proved that he is truly a superstar by making that miracle chip in such a crucial situation. A dogleg to the left, downhill par 4. A bunker on the left is 260 yards from the tee. The green is slightly elevated. A downhill par 3 over water. The right club selection is important as it is hard to read the direction and the strength of the wind. A slight dogleg to the right. The tee shot is a gentle downhill with a right bunker 260 yards off the tee. A long hitter can reach the green in 2 but water guarding the front right of the green will await a shot short. If you hit to the left avoiding the water, a bunker at the back left comes into play. The key to success is how to conquer the water in front of the green. A dogleg to the left. You need to drive onto the right side in order to have a clear view to the green. If left, the trees ahead will hinder your second shot lowering the chance to hit the green in regulation. The ideal position is the from the center to the right side of the fairway. The green is double-tiered. A straight, long par 4. Bunkers on both sides come into play off the tee. Another large bunker protecting the front side of the green comes into play on the second. A slightly downhill, long par 3 over a lake. The lake, bunkers and a towering tree in front of the green are in play. Mt. Fuji is reflected on the lake on a find day and it is said that the grand Mt. Fuji seen from the green is very beautiful. The hole is not only pretty but also challenging. A slight dogleg to the left, very scenic par 5. Long hitters can reach the green in 2 but need to have the courage because the double-tiered green is tucked closely between a large pond in front and three rear bunkers, and shots short often roll back to the water. There are 2 options if you deiced to lay up: to hit the second shot safely to the area around 120 yards in front of the green or to the extremely narrow fairway, squeezed by a pond on the right and sloping the right pond, starting 100 yards in front of the green. This is a dramatic hole enabling come-back from behind wins depending on tee shots. Besides the chip-in-eagle mentioned above by Tiger Woods, it was also dramatic that Greg Norman made eagle here on the last day of the tournament in 1993 to score come-from-behind victory. Mt. Fuji stands majestically in the distance behind this great hole which has been selected as one of the best 500 holes in the world in 2000 by US Golf Magazine. It is a 1 hour 20 minute drive from central Tokyo. It takes 1 hour from Tokyo Station to Mishima Station by Shinkansen bullet train and anther 30 minutes by taxi. You need to submit to the caddie master the official handicap certificate of 7 or below to play from the championship tees and 15 or below to play from the black tees. 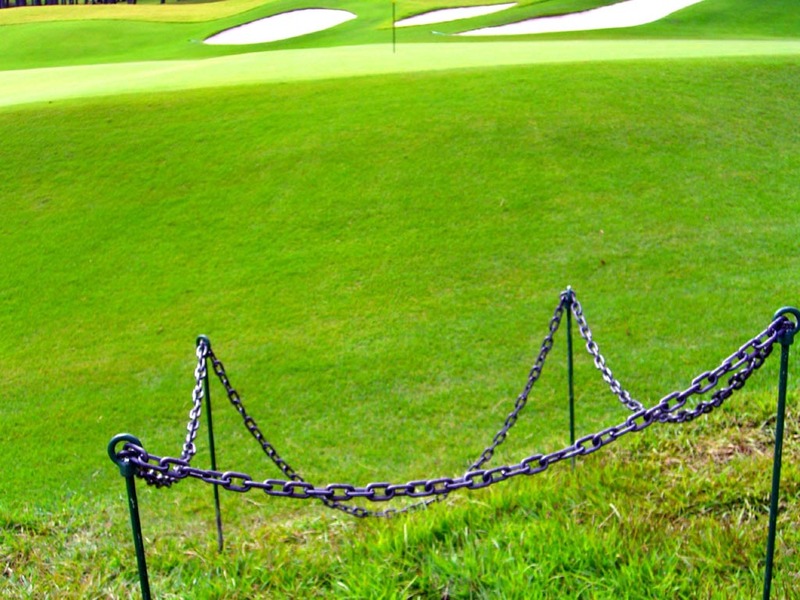 However, nobody can play from the championship tees from September up to the middle of the November when a PGA tournament is held because the turf needs to be nurtured. 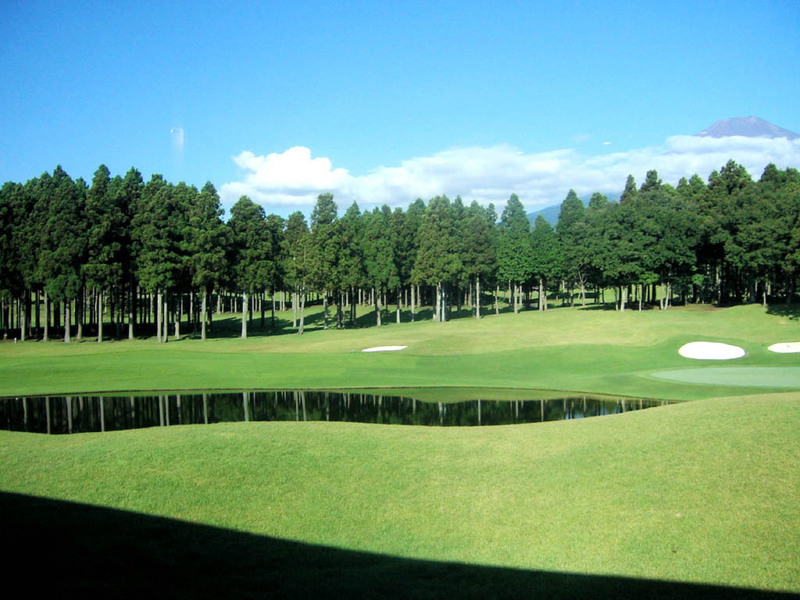 The course was awarded 13th place in 2004’s Japanese golf course rankings by the Japan Golf Classic Magazine. 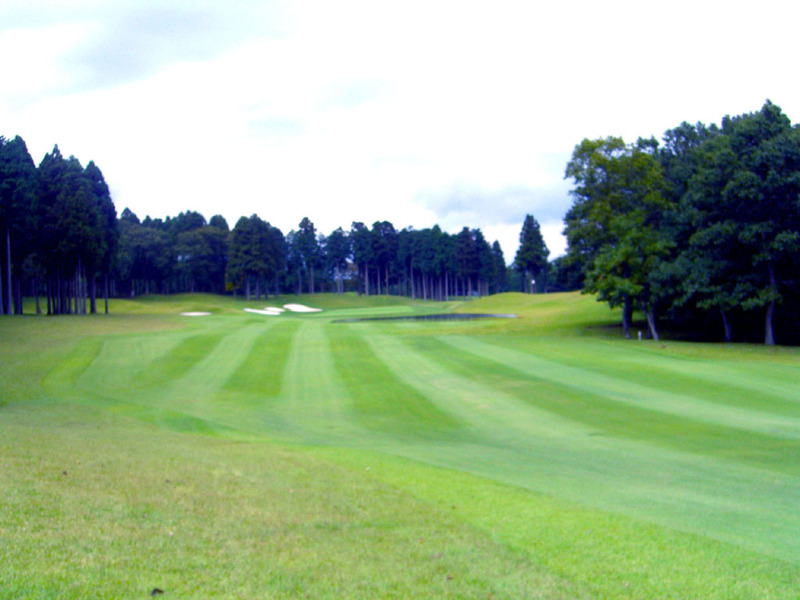 The other Shunsuke Kato designed courses are Taiheiyo Club – Masuko Course (92nd of the above ranking), West Course, Karuizawa Course, Sagami Course, Takahara Course, & Ichihara Course, Setonaikai GC (46th of the above ranking), Hanna GC, CC The First, Kyushu GC – Yahata Course, Katayamazu GC – Hakusan Course & Kaga Course (remodeled both) in Japan, Tomson Shanghai Pudong (湯臣上海浦) GC in China, Palm Lakes (棕梠湖) Resort, Lily (立益) G&CC, Yong Han (永漢) GC in Taiwan and Chung Ju (清州) CC, Loadland G&V in Korea.